This is my first year really trying to be successful with a vegetable garden and starting everything from seed. 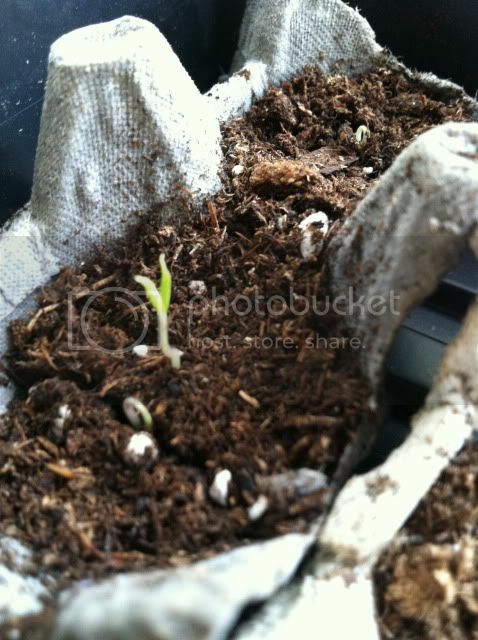 I've tried to start plants from seed before but nothing germinated or the seedling died early on. I'm really proud of what I have so far and wanted to share. These are cherry tomatoes. They are mostly 6 days old but the shortest one is around 2 days old. Black Beauty eggplants. They are 1-3 days old. California Wonder bell peppers. They are also 1-3 days old. 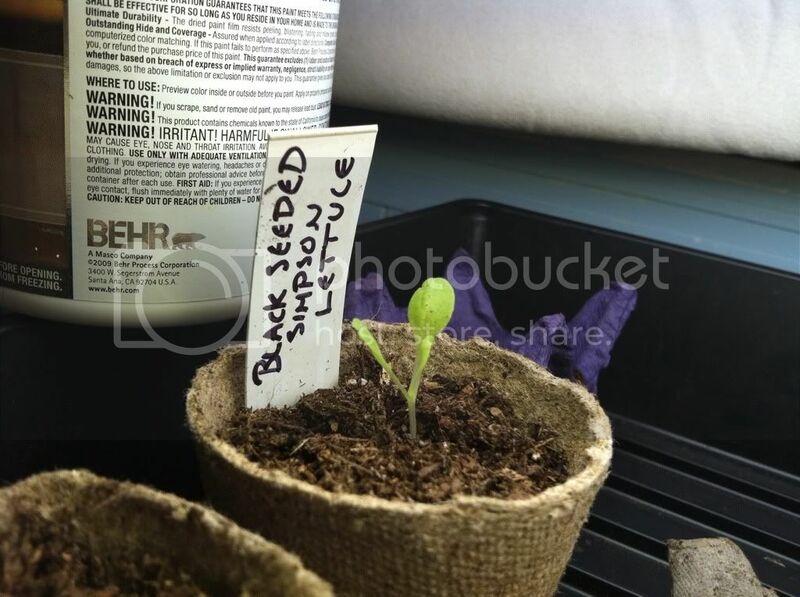 Black Seeded Simpson lettuce. 2 days old. These I'm calling the Grocery Store tomatoes. They are on day 5. The GS Tomatoes were from saved grocery store tomato seed. I'd never saved seed before and wanted to try after reading a magazine article about saving tomato seed. I honestly expected nothing to come up and sowed heavily, which is why you can still see evidence of the tomato murder I committed yesterday. 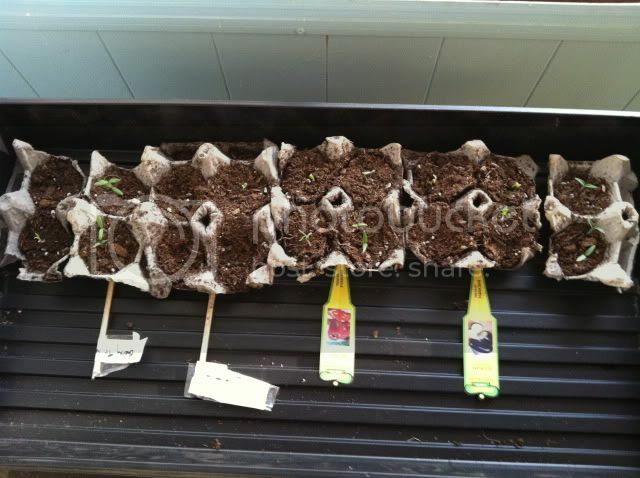 Every seed germinated. 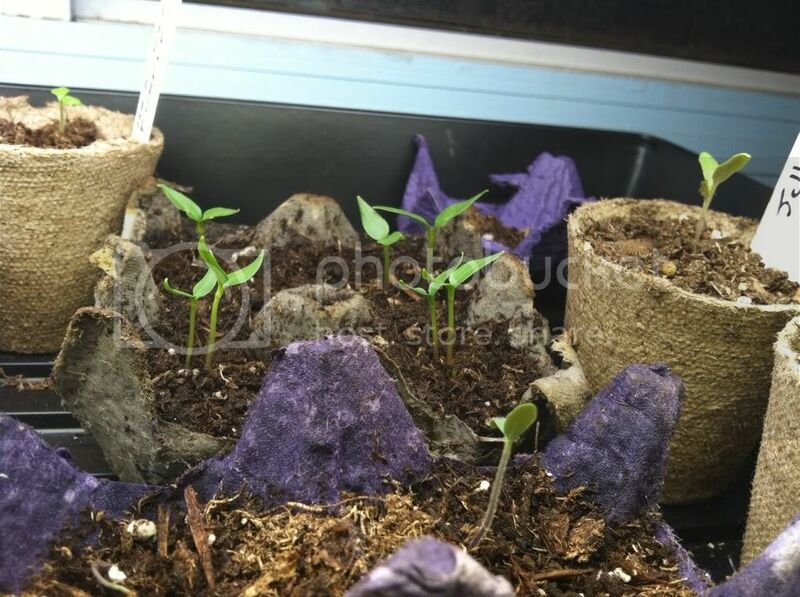 My Cherokee Purple seedlings. 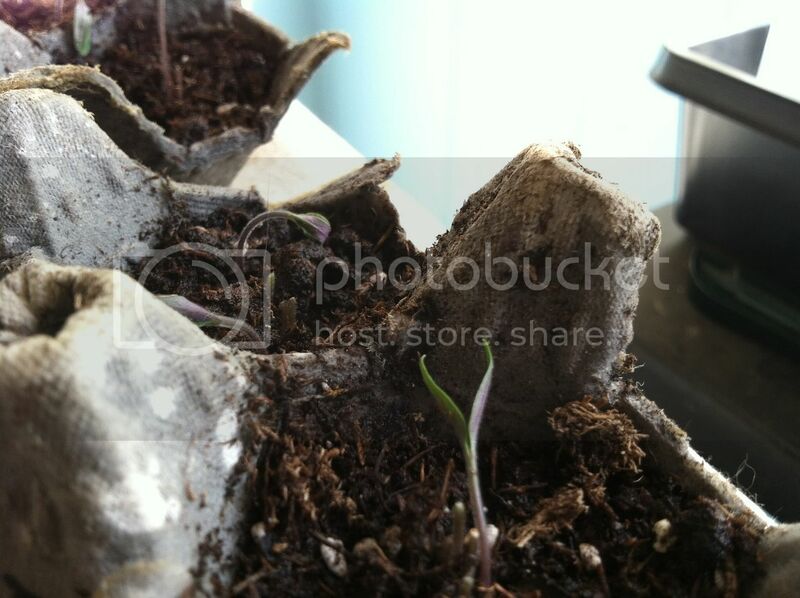 These were the first seeds I tried soaking in water and they came up in 4 days. 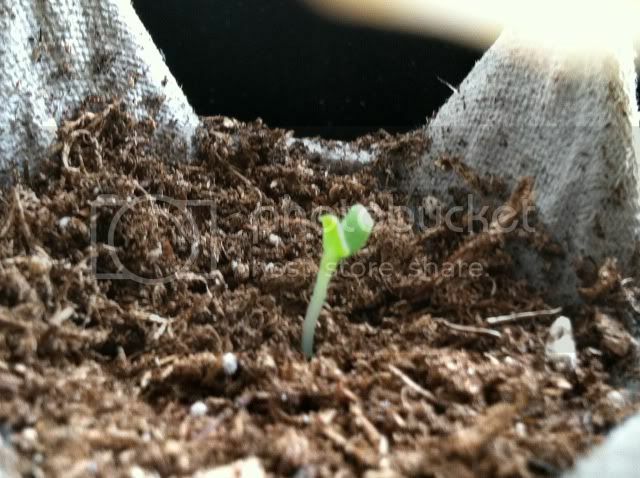 This is day 1 for the CP seedling. My tiny setup next to a south facing window. I get so much sunlight from all the windows in this room that the plants grow better with it than with the light I have. I only use the light if it's cloudy and after the sun has gone down. They look excellent! Good job. ...still chuckling over "tomato murder"
Looking good so far! Keep us posted on how they do. 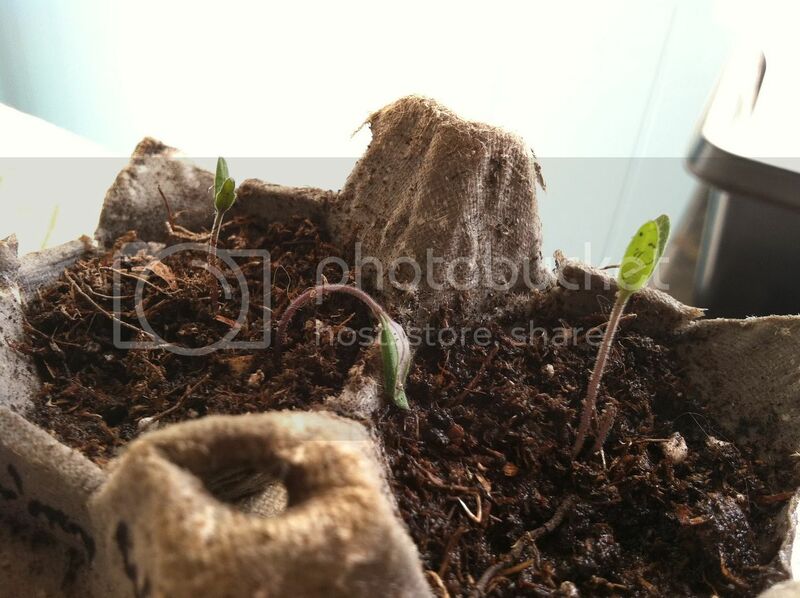 In my experience, it's really hard to keep seedlings growing well, just in front of a window. But then you probably have way sunnier windows than I do out here in Ohio, so maybe it will be fine for you. Thank you for the comments I enjoyed writing about the tomato murder lol. Rainbowgardener I will definitely keep you all posted. 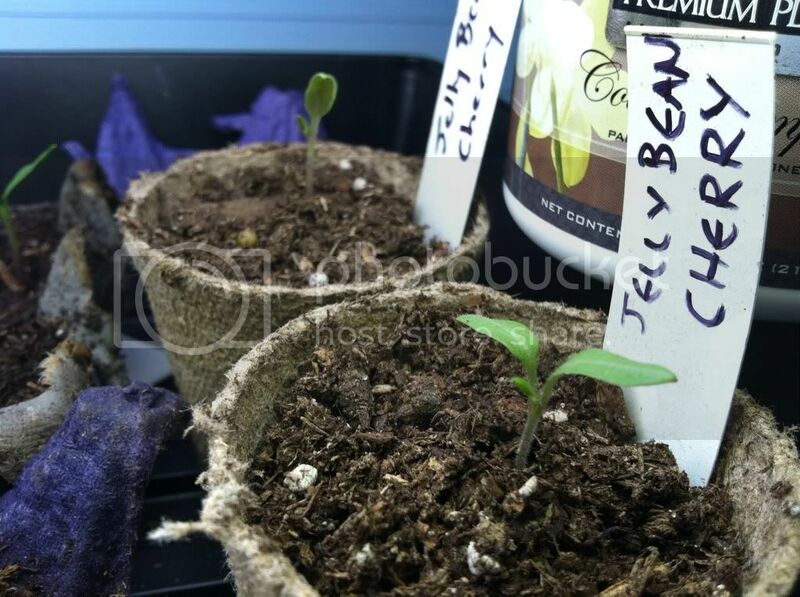 I was worried about the sunlight from the windows at first after lurking around on some forums but so far my seedlings aren't very leggy and the older ones have good color. 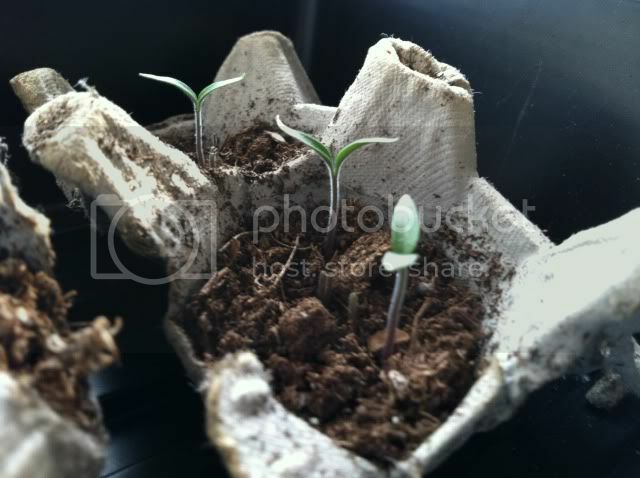 who's the cutest little baby seedlings. you's is, yes your are, oh yes you are! That's about enough of that. 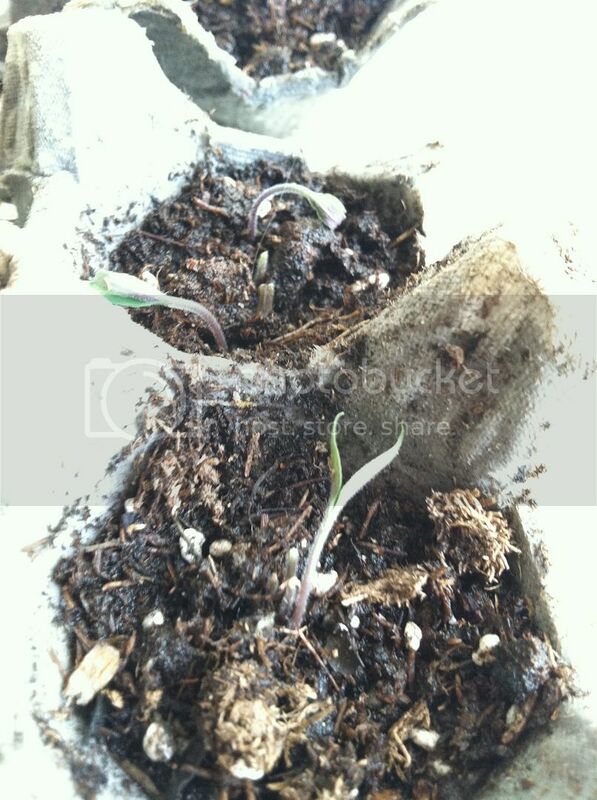 It was a bad day to be a tomato seedling at my house today. 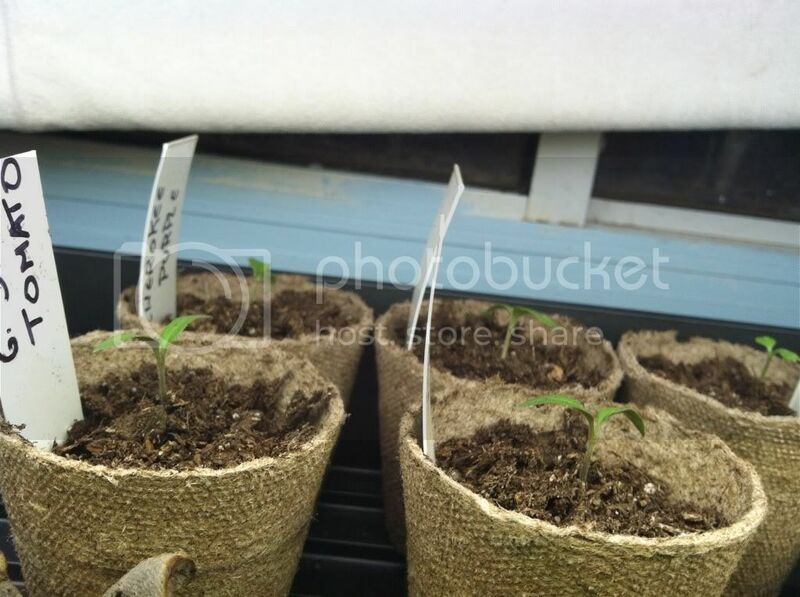 Around 2pm I decided since it wasn't freezing cold outside anymore (we had a cold front over the weekend and freezing in LA = 40-50 degrees...) I'd open the window and let a nice breeze blow over my seedlings. 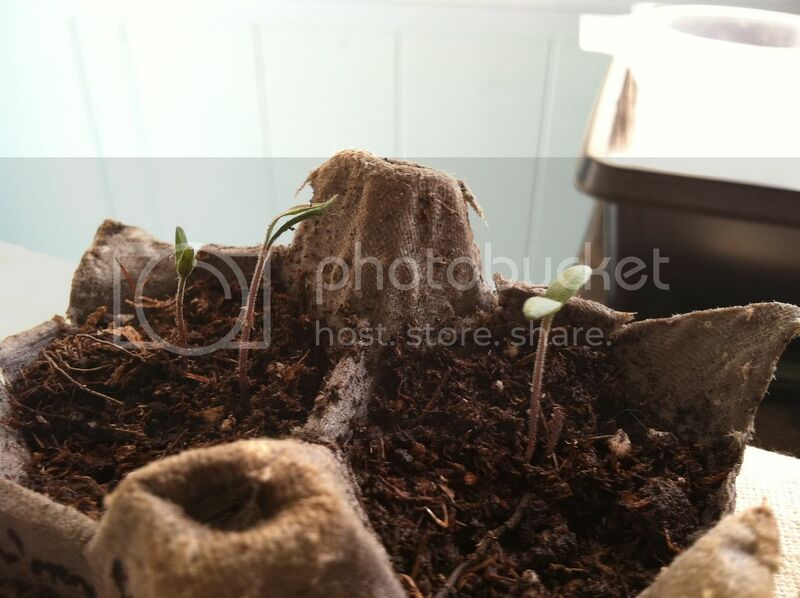 This is what the seedling window looks like. I opened it so the breeze could blow through the screen. Well. 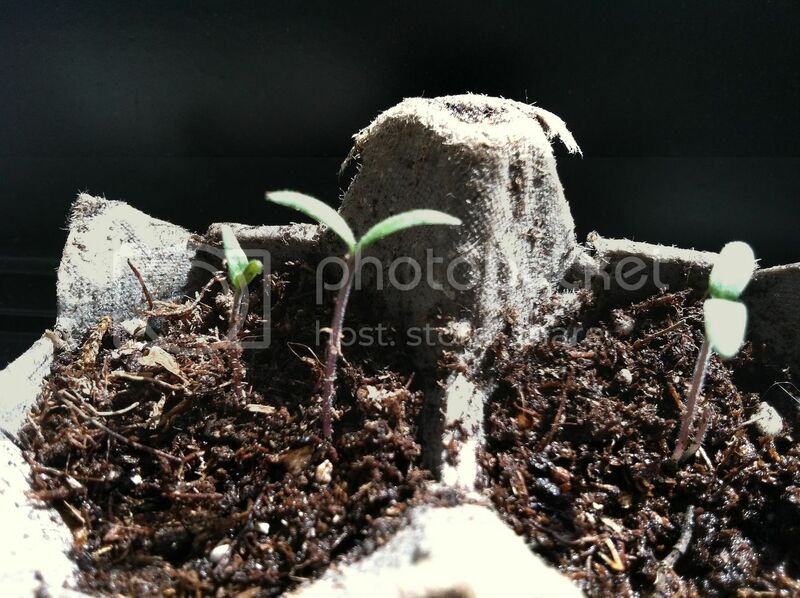 Opening the window made it a LOT brighter and I thought "Awesome, my seedlings will get a lot of sun today." 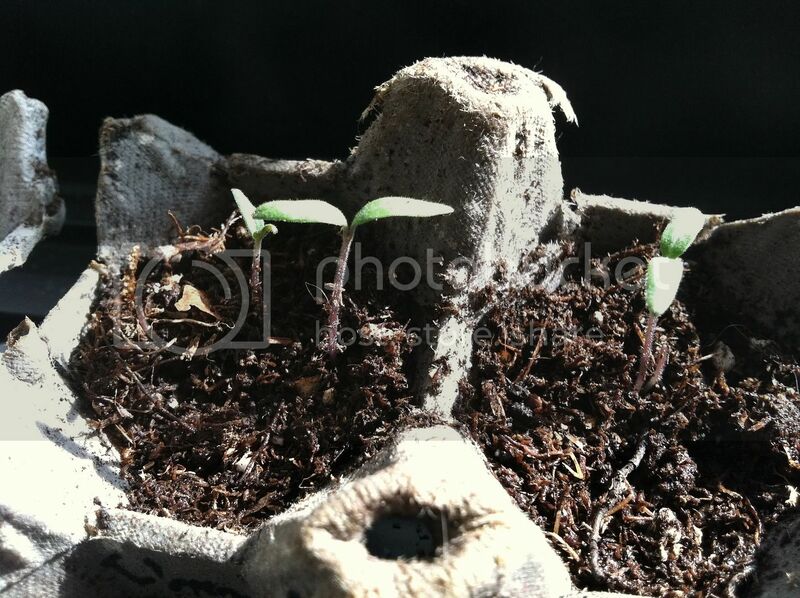 I arranged the seedlings in the light and sat back on the couch for half an hour. 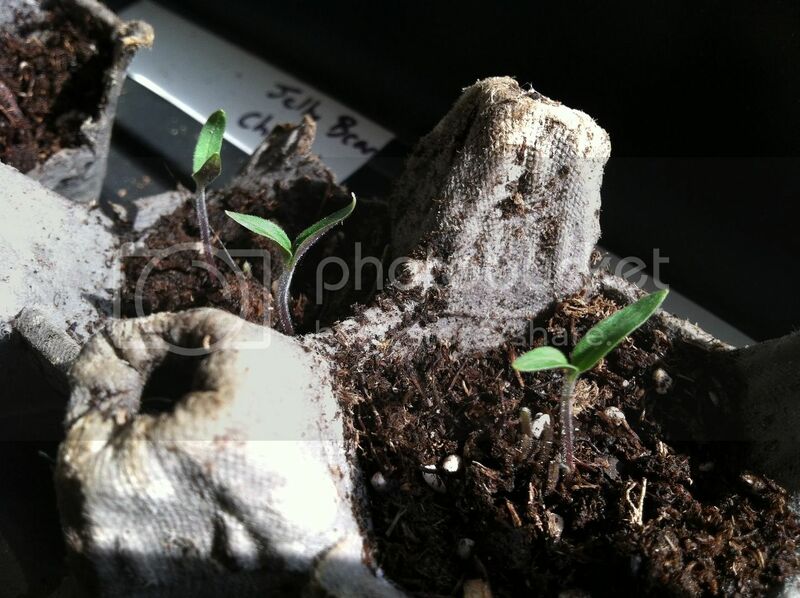 When I got back up to look at the seedlings my tomatoes had keeled over . 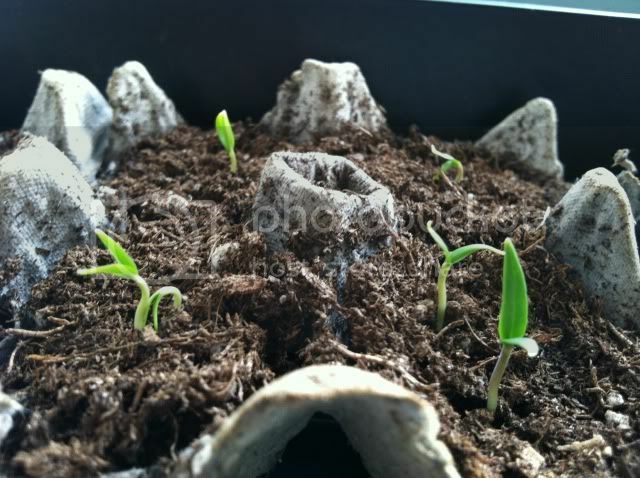 I immediately closed the window, ran to the kitchen with the seedlings, filled some tupperware with warm water, and put the egg cartons in them. 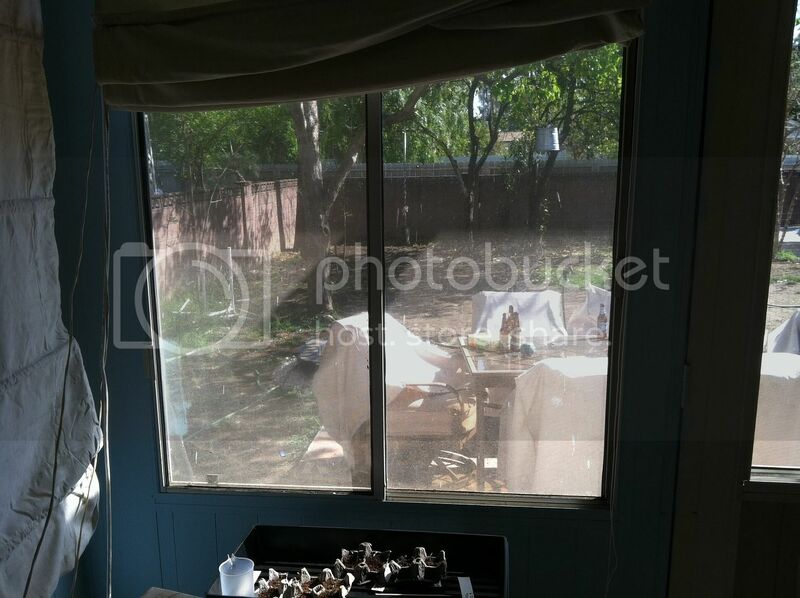 When they drank up some water I put them in some shade and poked at them hoping they weren't dead. Within 30 seconds they started perking up. When I put them back into the sun from the closed window they did fine the rest of the day. Lesson learned. 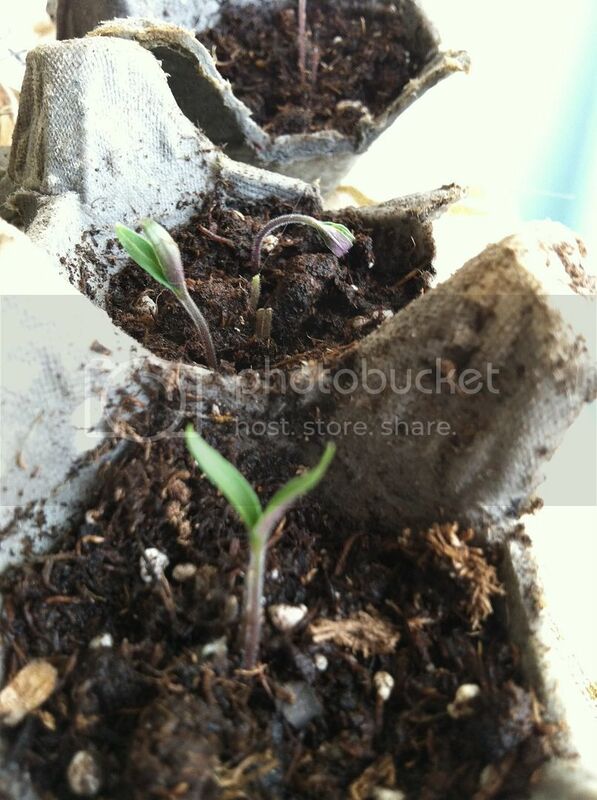 An open window = concentrated sunbeam = fried seedlings. Just an update. Everything's still growing well in front of the window. 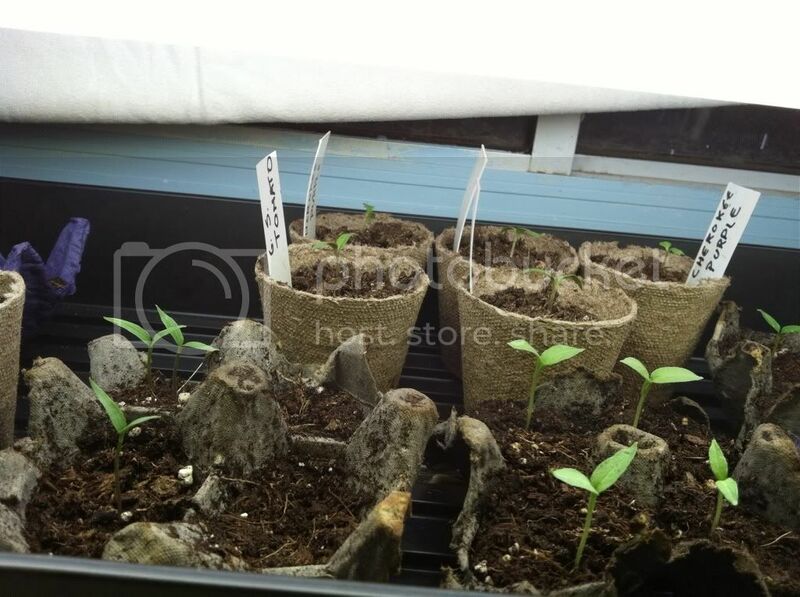 I have more problems keeping the seedlings from wilting from lack of water than over watering and damping off. So far I've only had one little sun gold die since it came up while I was at work. 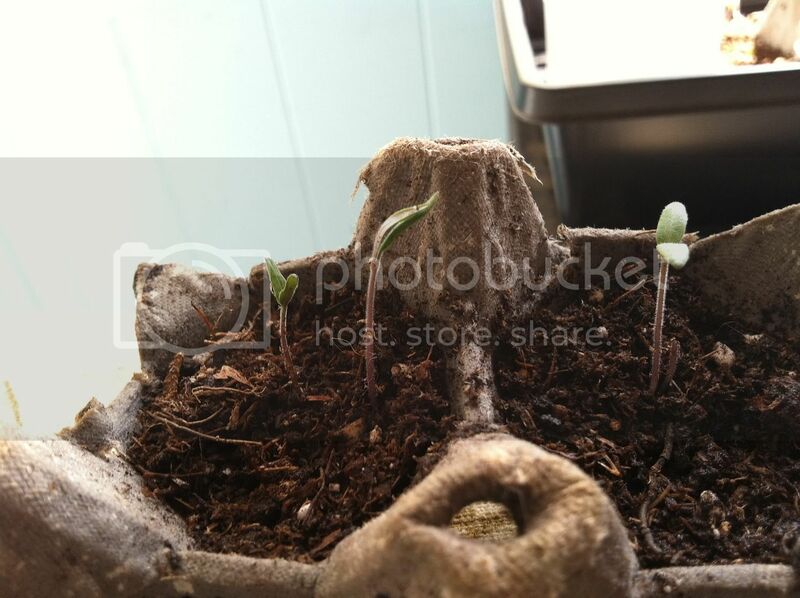 The soil was dry and it wilted and died. The older sun gold also wilted but it came back with some water. 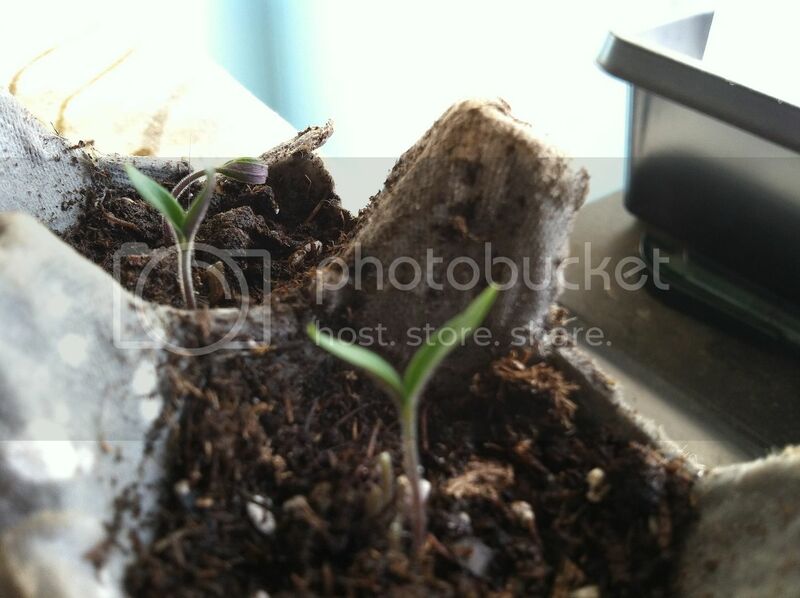 Eggplants are a week and a half old. G.S. tomatoes in foreground and Cherokee purples in background. 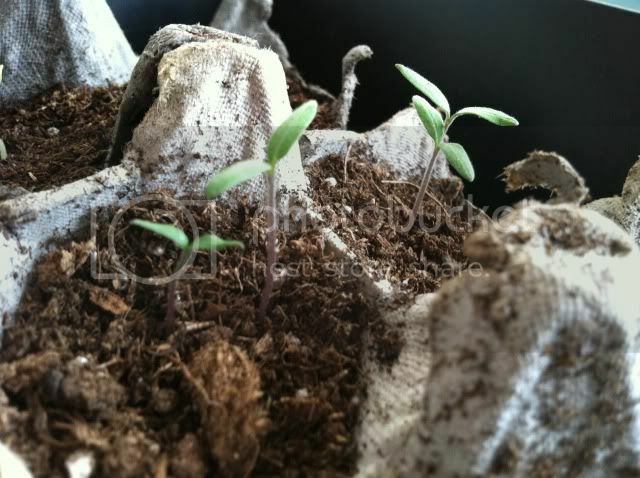 2 week old cherry tomatoes. 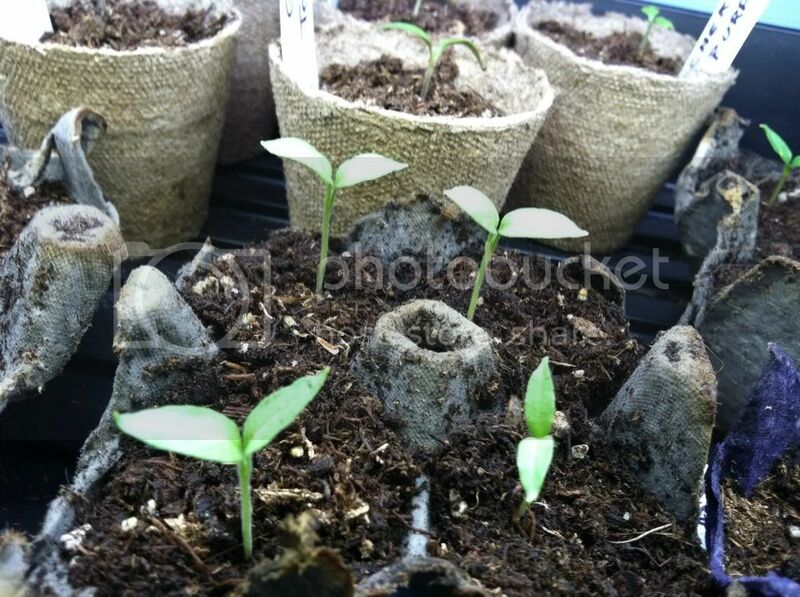 1 week old Sun gold in foreground bell peppers behind them. 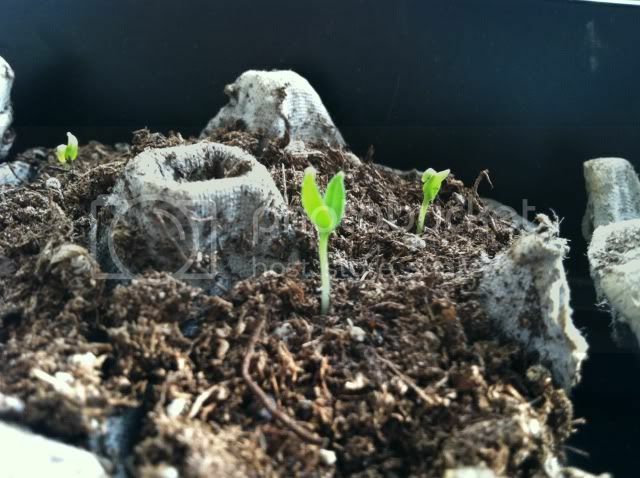 1 week old JalapeÃƒÂ±os on the left next to eggplant.